Andy Hodge, who worked under Tony Fadell on Apple's original iPod team, has been hired to lead hardware and product strategy at smart video surveillance camera company Dropcam. In an interview with Re/Code, Hodge said he was initially skeptical about having an Internet-connected camera in his home, but Dropcam's intelligent image processing and notification system won him over. 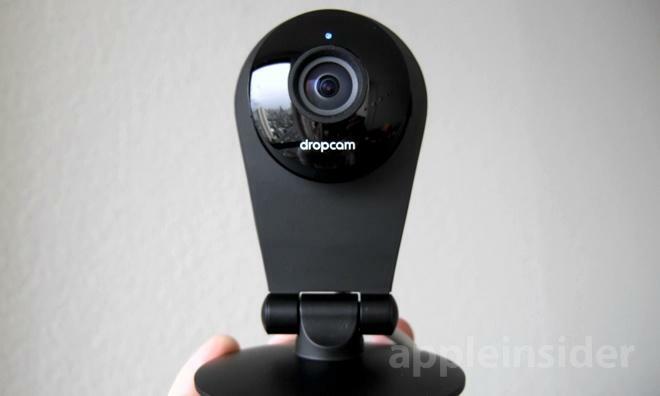 As AppleInsider noted in its review of the latest Dropcam Pro, the system's smart alerts —based on computer vision and advanced image processing algorithms —takes the webcam idea to a whole new level. Dropcam's products grant users granular control over alerts and notifications, turning the camera into an automated surveillance system. "There's a real opportunity not just to see your house but to notice something happened," Hodge said of Dropcam. "You can take sensors and compute, and there's a chance to make genuinely smart products." Prior to taking on the role of VP of Hardware and Strategy at Dropcam, Hodge worked at Apple for ten years as the iPod group's product lead. After leaving the Cupertino company in 2010, he worked for 18 months in a secretive research division of Microsoft that has yet to release a product. According to Hodge, the Dropcam job is a return to a fast-paced style of operation where down time between developing and shipping a product is minimal. He noted that the first iPod was rolled out after just five months of R&D. The publication points out that Hodge holds over 50 patents, including properties assigned to Apple like an e-wallet, NFC-based "gifting" and gaze detection.